Scarf is same fabric as skirt; measures 32" by 5"
The 50s are back, baby! You've seen Grease dozens, maybe hundreds of times. You've ached for the spirit of the 1950s, the Cadillacs, the "I Like Ike" buttons, and especially the Sock Hops! Are you a Rizzo? Tough as nails, sarcastic and ready to take on the world? Or maybe you're a Sandy, sweet and soft-spoken but finally awakening to living outside the box, loving Danny Zuko, and having a good time (obviously we've seen Grease a bunch and know every song by heart). Whoever you are or whoever you want to be, now you can in this classic 50s style dress that will leave the guys going ga-ga over you, ready to get in their Thunderbirds and drive you out to the cliffs to neck (do people still neck? Actually, don't answer that. Not our business). 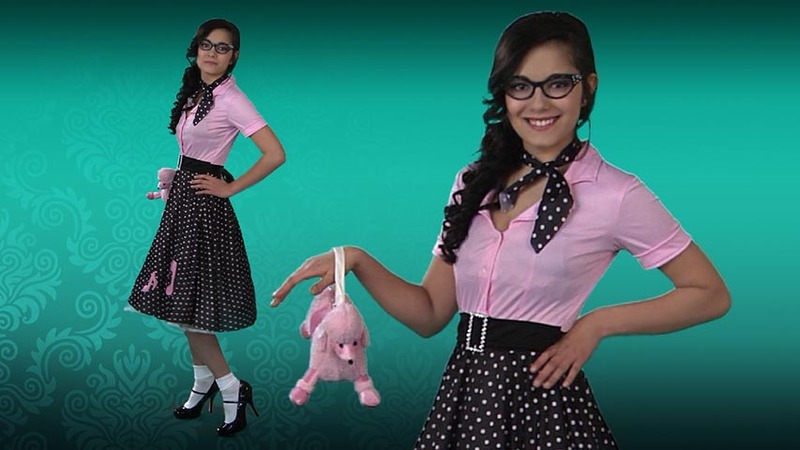 So head back to a time when rock and roll ruled the night, poodle skirts were on every girl, and polka dots were king (who are we kidding, polka dots are always king). Alright, admit it: you're afraid. But trust us, time travel is completely safe. Yes, it used to be quite risky, yes there was that one time a guy went back and made it so we never evolved past monkeys, but we fixed that! Now we've been completely assured that any time travel is mostly harmless. Especially if you're only going back to the 50s! What's the worst that could happen? Okay, maybe the worst that could happen is you bump into your future parents and make it so they never get together, thereby causing you to slowly dissolve from the timeline, but that's like... so rare. 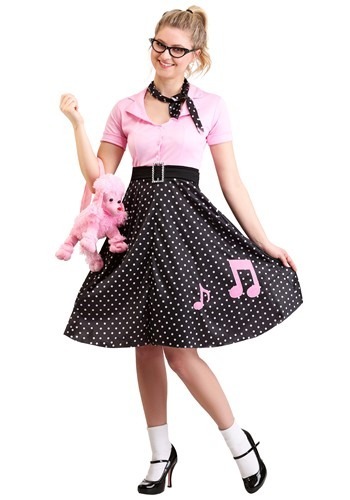 So get ready for the sock hop and cut a rug, cutie! The 50s are waiting!